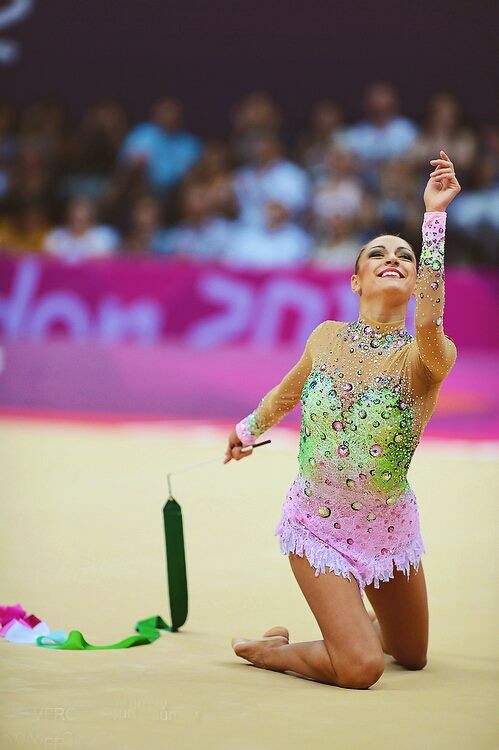 This entry was posted in Translation, Zhenya Kanaeva Gymnasium and tagged Евгения Канаева, Канаева, Evgenia Kanaeva, Evgeniya Kanaeva, 訪問, interview, Kanaeva, Zhenya Kanaeva, 卡納耶娃, 卡娜耶娃. Bookmark the permalink. Appreciation to my father who told me regarding this web site, this webpage is really amazing. @Deekay, It’s ok to call me “Wan Wan” that’s one of my nicknames XD, I have many haha. And thanks for the YTB link, actually I have shared it on ZKG fb page last month. and the project is to make a music video for the official song, not to make the official song because they have it already-“we make this world go” you can listen this song on Ireesha’s (Irina Deriugina’a daughter) soundclound channel, she sang this song herself. RG World Championship that will be held at Kiev Ukraine in August, will have an open submission to make an official song for the RG World Championship 2013. For further information, here is the link in regards of the submission. http://www.youtube.com/watch?v=7LEi-qhvBBU. @Beatriz Brunhara, sorry I can not help you. But we did Spanish translation, I think it’s similar with Portuguese. 😉 I am thinking to do Japanese version at this moment, because we had did Spanish and Italian translation, for me it’s not necessary to do another Latin language version. makes a version of this interview in Portuguese?? @Idina, You can post this interview to your blog, but PLEASE note the source is from Zhenya Kanaeva Gymnasium, the original link, and please also give the credit to my team! Thank you. ohhhh this is so memorable. Thanks to your huge effort with this interview. BTW, is it OK to post this interview in my blog and other Korean websites – with translations? 200+ likes (讚)!!! for this interview, Thank You!!! Thank you to Zoe and all the translators and contributors for the site! Congratulations to Zhenya and Igor! Wow, it is really great for you all that she took the time to answer your questions. A big thank you to her and her mother for answering your questions and to you all for the translations. Regardless of her not performing again, she will be remembered for her beautiful programs and I wish her all the best. I didn’t know she was engaged so congrats to her! Off-topic: Zhenya RG career recap by FIG! @MariaJoao_ek, for your comment on “photo” page, I think you can only upload your pictures to some photo spaces, then share the links here. @Alyona, Michel and Laura!!! Big Big Thanks for your warm words!!! Laura, your comment is sooo touching!!! And I just edited English and Chinese translation and re-uploaded the pdf files, no worry just a little change, for English, I just changed Zhenya’s last answer, “Everything I did, I did it with love for people” this should be the correct. I forgot to change it last night, just remembered to edit the title, sorry. And for Chinese-two places I don’t know the name in Chinese at first so I typed in English, thanks a Chinese RG fan, I put the two places with Chinese name now. I feel quite moved now. I actually feel like crying and I am sure I will be crying when I wrote the last word of this comment. That interview, especially the last part, has touched me a lot. I have read a big number of Zhenya’s interviews but none of them has been as good, sincere, honest and openhearted as this one. I would like to congratulate the team who worked on it. You really did a fantstic work. I once told Zhenya “personally” how much I admired her as a gymnast and as a person. She noticed it, and for me that means something that words cannot describe. Now, she retires and I am going to miss her so much. I feel sad when I think Zhenya won’t be on the carpet anymore, but for sure she will be in my heart forever. Every time I see gymnastics I will remember her and miss her a lot. It is incredible how much I respect and honor a person I have seen in person no more than 3 times. Once, someone asked me who was the person I admired the most in this world. Two persons immediatly came to my mind. Evgenia was one of them. She is my idol, my heroine and she will always be. I wish her all the best in her new life. Success, health, luck and love is all a person need to be happy. I wish her the very best next to Igor. It is great hapiness to be loved, she is right. And about this site… I have million things to be grateful for. ZKG has been this little nook where I submerged in. I have learnt about gymnastics, I have improved my English, I have learnt a bit of Russian, I have felt proud of being part of ZKG, I have discovered I cannot life without Rhythmic Gymnastics, I have noticed I miss being a gymnast but above everything I have met wonderful people. We live in different cultures, when one of us sleeps the other is brightly awake, we speak different languages, but we all share one characteristic, which is our love for Evgenia. As someone has already said, even though Zhenya will never appear in public again, we will be in contact forever. I have made friends and I will be there to help them everytime they ask me. These last four years, these fantastic people has showed me we don’t need gymnastics to be friends. I respect you all and I love you with every bit of my heart. Gratitude is the heart’s memory, and memories last forever. Zhenya has united us, but nothing will separate us. My victory was meeting you. An exclusive interview is the final coronation for this page! I would like to thank all those people who have supported ZKG for the last four years, and of course special thanks to the creator and the soul of this project – Zoe! Although we were so far away from each other, we were united by the love to Zhenya and RG in general. We standed shoulder to shoulder in support of our favourite gymnast. I absolutely agree with Zhenya’s words – it is our victory! I am sure we will keep in touch even if Zhenya never appears on the carpet again. She has made us friends and I am very grateful to her for that! @catts!!!! Big Thanks for your congratulations!!!! And Thank you very much for your support always!!!! Good work, Zoe. Good work, Svelana and Zhenya. Good work, the ‘team’. These answers are very much appreciated as we can now understand Zhenya as both a champion and a person. For sure she is on a very solid platform, and is ready to pursue her future. I sincerely wish her every success and joy on the journey of life. This is one of the best interviews of Zhenya I have ever read, Zhenya is very open, honest, and sincere to answer our questions. I especially love her last answer: “Everything I did, I did it with love for people.” and I also love very much her “Big Thank You” message in the bottom of this interview. The last sentence is the BEST! “It was our victory!” Prove again Zhenya is such a humble person, she always thought about the team not herself only. and of course I love when she mentioned my name, I love what she said: Special thanks to Зое, as we call her, :))) This is the best gift for my Bday. When I was doing the Chinese translation, I felt like crying, some of her answers are very touching.